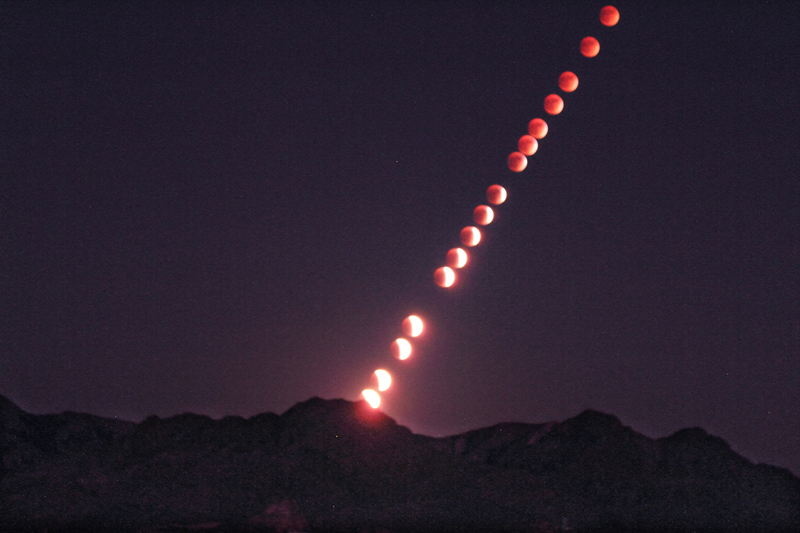 One person I know told me “that was the coolest astronomical event I ever saw!” Perhaps because everyone could see it! From the Desert Southwest it started an hour or so after sunset and with crystal clear skies and no trees it was impossible to miss. We had a neighborhood “Moon party”. A few neighbors had their cameras out. What I thought was particularly dramatic was the partially eclipsed moon coming into view over the mountains. Even for a seasoned observer this was spectacular! Hope you all had a chance to see it.